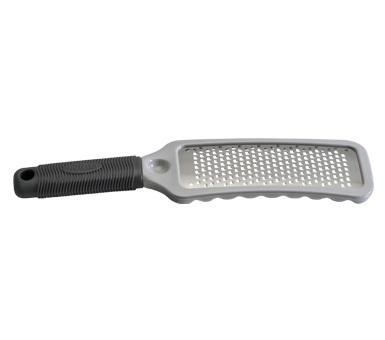 Grating is effortless with this ergonomic grater. The soft-grip handle allows for comfortable control and the grooves on the sides allow the grater to rest easily for grating into a bowl. Blade made of stainless steel with double-etched razor sharp cutting edges. Rinses clean without clogging. 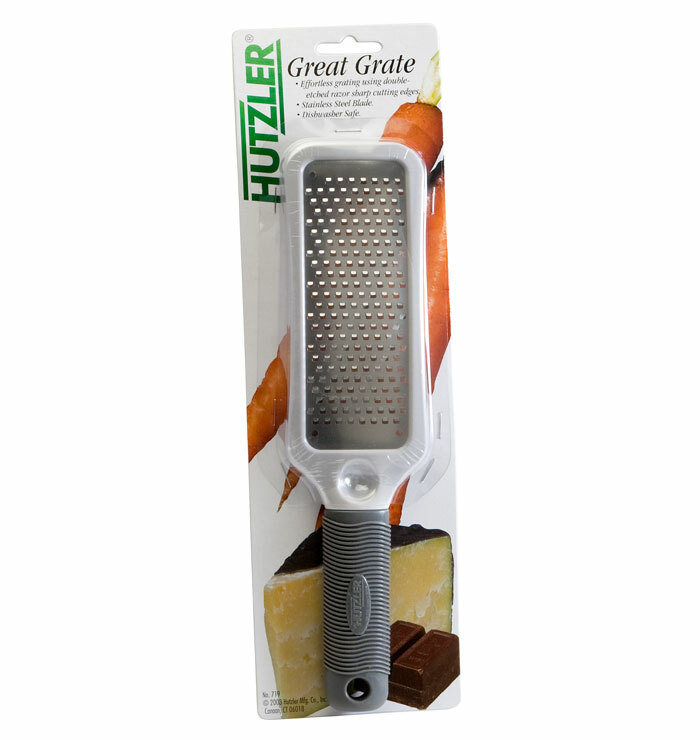 Perfect for grating cheese, garlic, nuts, chocolate. Zests lemon, limes and oranges. Dishwasher safe. Length: 10.75", width: 2.66", height: 0.87".